The prosecution is required to prove that the defendant in a court case is guilty of a crime beyond a reasonable doubt. In legal matters, the burden of proof refers to the duty of a party making allegations to substantiate them with evidence that is admissible in court. In a civil lawsuit, the plaintiff carries this responsibility. When a person has been accused of a crime in the United States, Canada, the United Kingdom and several other countries around the world, the burden rests with the prosecution, which must prove the charges before a conviction can be obtained. Standards of proof can be different depending on the type of legal dispute in question. In a criminal trial, the prosecution is required to prove its case beyond a reasonable doubt. The individual who has been accused of a crime is presumed to be innocent until proven guilty. 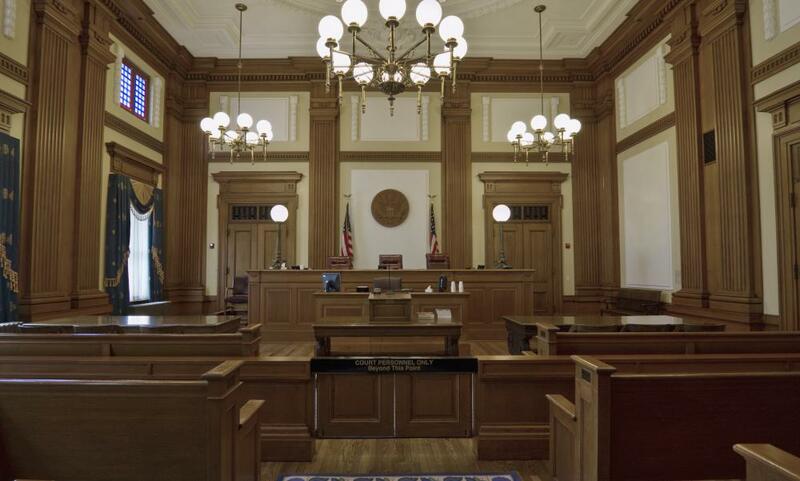 When a judge gives instructions to a jury before they retire to deliberate, he or she will explain the burden of proof and how it applies to the proceeding. The prosecution is not required to convince the jury of the accused person's guilt beyond all doubt. Instead, the juror must be able to say to him or herself with moral certainty that the individual is guilty of having committed the crime. If the jurors are not able to do so, the prosecution has not met the burden of proof and the jury must find the person not guilty. In a civil trial, the burden of proof rests with the plaintiff. He or she needs to be able to support allegations of loss or injury to collect damages from the defendant. The standard usually applied in these situations is one of preponderance of the evidence. This term may also be called the balance of probabilities. The preponderance of evidence means that a judge or jury must be satisfied that the defendant's actions or lack thereof caused the plaintiff to be injured or wronged in some fashion. Technically speaking, if there is only a 50 percent chance that this is true, the defendant may be held legally responsible. Being held liable in a civil action means that the defendant will be ordered to pay money to compensate the plaintiff for his or her loss. Another way the burden of proof comes into play in a civil trial is the principle of clear and convincing evidence. This is a higher standard than the preponderance of evidence. In this situation, the plaintiff's attorney must use a higher standard to convince a judge that the allegations forming the basis for the action are true. What Does "beyond the Shadow of a Doubt" Mean? What Does "in Dubio pro Reo" Mean? What is the Precautionary Principle? What does "Just Cause" Mean? What is a Class Action Plaintiff? 50 percent is only for civil cases. In cases regarding criminal law, the number is around 90 percent. I fail to understand what are standards required on corroborative evidence. @indemnifyme - You brought up an interesting point when you mentioned the OJ Simpson case. I think it's kind of funny that something like that doesn't count as double jeopardy. The cases were both regarding the same act, but they were in two different types of court, so it was okay. I actually think it's kind of good that the burden of proof is lower in civil court. If the standard was as high as the criminal court standard, I don't think anyone would ever win a case in civil court! Wow! I hope I never end up as the defendant in a civil case. The burden of proof sounds extremely low. I could definitely see an innocent person being found guilty in a civil court! And actually, I believe this is how OJ Simpson was found innocent in a criminal court, but guilty in a civil court. There wasn't enough evidence to convict him of committing the murder. But there was enough evidence to meet the burden of proof in civil court and rule in favor of the plaintiff in the wrongful death suit. When the prosecution takes a criminal case, he has to start from the point of the criminal being considered innocent. He has a big job to do since he has to start with an "innocent" person and build up from there. From there he/she has to do massive research and investigation and put it all together to show evidence to the jury that will convince them that there's no more than a "sliver" of doubt that the criminal committed the crime. I think that it would be difficult to come up with a decision in a civil case. I'm really surprised that say, if the defendant is accused of defrauding a group of people out of their money, the plaintiff doesn't really have to prove that the guy harmed the group of people. The jury only has to be 50 percent sure that the defendant did what he was accused of to be judged guilty. That doesn't really seem fair.